As reported yesterday, Leslie Torres resigned effective yesterday as President of the Roosevelt Island Operating Corp (RIOC). RIOC General Counsel Don Lewis, who has been in that position for about a year, was named Interim President/CEO by RIOC Chairperson Darryl Towns. Mr. Lewis was appointed to the position by Mr. Towns without the prior approval of RIOC's Board of Directors. Below is Ms. Torres last report to the Roosevelt Island community which was received yesterday. As you can see, no mention of her resignation. Greetings Roosevelt Islanders! 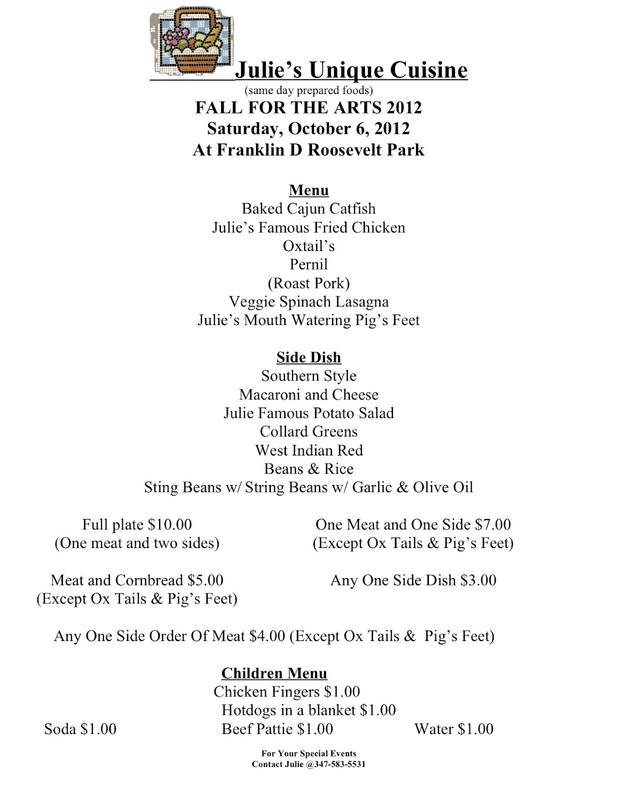 Excitement continues to mount for next month’s opening of Four Freedoms Park, the memorial to President Franklin D. Roosevelt. Last week, The New York Times wrote that the park will be the city’s “new spiritual heart,” and that it is “a monumental triumph for New York and for everyone who cares about architecture and public space.” I couldn’t agree more. Four Freedoms will be a special place for Roosevelt Islanders, New Yorkers and visitors from far and wide. 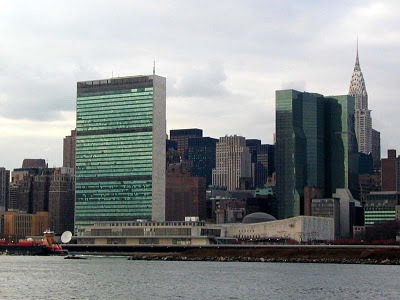 By the time Hurricane Irene reached New York City a year ago, it had been downgraded to a tropical storm, but that didn’t stop it from leaving considerable damages in its wake on Roosevelt Island. In particular, the westside waterfront sidewalk, from the Meditation Steps to Island House, was undermined and partially collapsed by the East River’s rushing floodwaters, and many of the lighting structures at Lighthouse Park – poles, foundations and wiring – were destroyed. The RIOC Board of Directors has now approved the hiring of contractors to reconstruct the westside waterfront sidewalk and restore the lighting at Lighthouse Park. Both projects have been pre-approved by the Federal Emergency Management Agency (FEMA) and qualify for up to 75% reimbursement of the total costs. As I wrote earlier this year, RIOC became eligible for reimbursement funds because we had previously undergone companywide FEMA emergency preparedness training and we executed the agency’s command procedures during Irene. The RIOC Board of Directors has also approved a three-year extension to a permit agreement we entered into a year ago with the New York City Police Department Transit Bureau K-9 Unit for the location of a police K-9 agility course on Roosevelt Island. The agility course is used by the K-9 Unit to train police dogs for special operations, investigations, and search and recovery exercise. We’re always happy to help the NYPD, with whom we have a great working relationship. The Department, for example, uses our Tram periodically during off-peak hours for routine training sessions to test their equipment. You may have noticed some unique public art popping up on the Island this past weekend. That’s because on Saturday the acclaimed Brazilian street artist Bel Borba was here, unleashing his creative spirit as part of a multi-facetted visual art project called Bel Borba Aqui New York. Borba is renowned for making striking creations out of found or discarded materials, like the “Belkenstein” sculpture he made out of old plastic traffic barriers which you can see near the Tram. His work will be on display for a few more weeks. For more information on the project, visit http://diariobaiano.wordpress.com. The RIOC Governance Committee will be meeting on Monday to discuss the issues of Ms. Torres resignation and the hiring of a successor. I was enjoying a nice Wurst dinner tonight at Roosevelt Island's Pier NYC when I heard clicking noise coming from right above me and noticed this cricket or circada sitting at top of umbrella next to me. A few minutes later the circada/cricket dive bombed right towards me hitting me in the glasses and a few minutes later hit me in the chest. Maybe it didn't like its picture being taken. 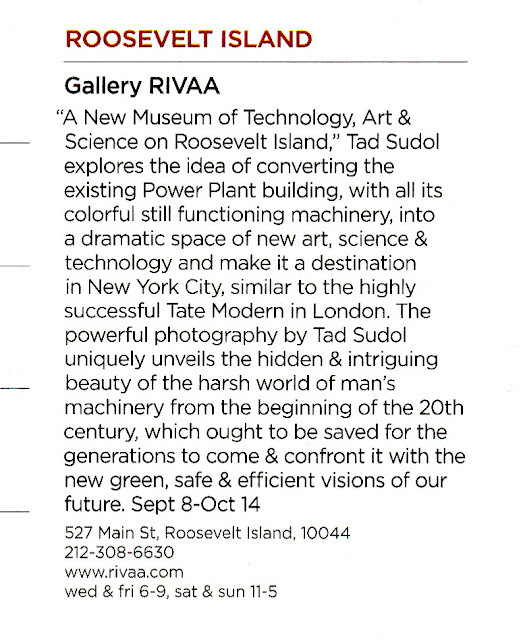 Tad Sudol explores the idea of converting the existing Power Plant building with all colourful still functioning machinery into the dramatic space of the new art and technology destination in New York City, similar to the highly successful Tate Modern in London. Please join me and RIVAA artists at the Opening Reception of the new exhibition “MOTAAS” on this Saturday, September 22nd at the Gallery RIVAA from 6-9PM. 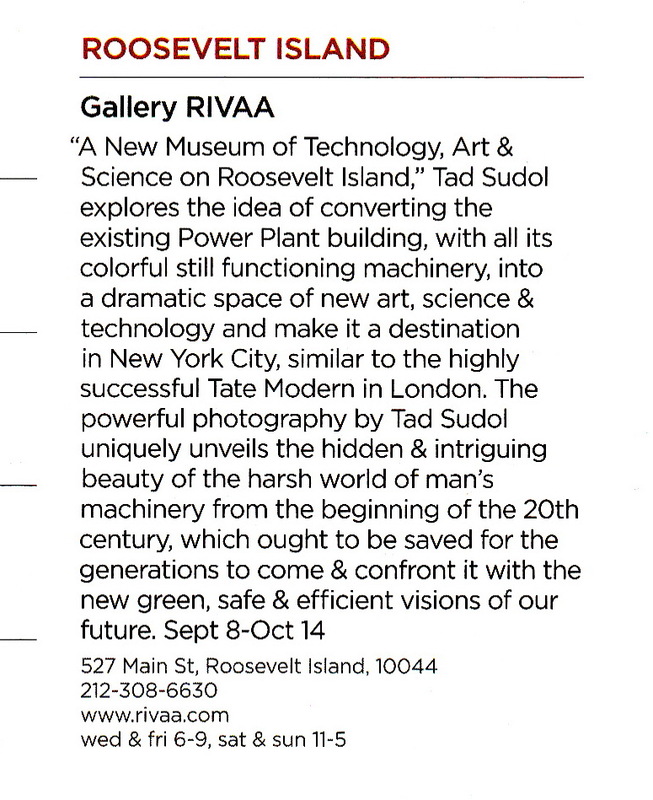 The model for Mr. Sudol's Roosevelt Island Steam Plant proposal is the Tate Modern in London. Here's some more information on the Tate. The issue of what to do with the Steam Plant was discussed during the September 12 Roosevelt Island Operating Corp (RIOC) Audit Committee and September 20 RIOC Board of Directors meetings. During these meetings, RIOC CFO Steve Chironis indicated that the Steam Plant is structurally unsound for adaption and will need to be demolished, estimating the cost at about $7 million and indicating RIOC's hope that the cost will be paid by NYC. Also, according to RIOC, Cornell has expressed no interest in adaptive re-use of the building though the operators of the tennis bubble have expressed interest in the land for another tennis bubble after the Steam Plant is demolished. Here is the audio web cast of the September 12 RIOC Audit Committee. 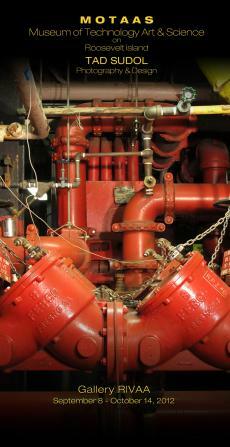 The discussion of the Steam Plant starts at the 24 minute 35 second mark. Speculation arose last night during the Roosevelt Island Operating Corp (RIOC) Board of Directors meeting that RIOC President Leslie Torres may not be President much longer. Full web cast of the meeting will be (is) here. After the meeting, I asked RIOC Chair Darryl Towns and Mr. Lewis if there was any change in Ms. Torres status as RIOC President and if she would be continuing as RIOC President. I told them that in my opinion, the logical conclusion of Mr. Kraut's questions and their answers was that Ms. Torres was out as RIOC President. Both Mr. Towns and Mr. Lewis denied that there was any change in the status of Ms. Torres as RIOC President. I also asked several RIOC Directors if they were aware of any change in Ms. Torres status. They responded that they did not know. Reportedly, President Leslie Torres of the Roosevelt Island Operating Corporation has resigned. Torres was absent from last night's meeting of the RIOC Board of Directors, the absence unexplained. 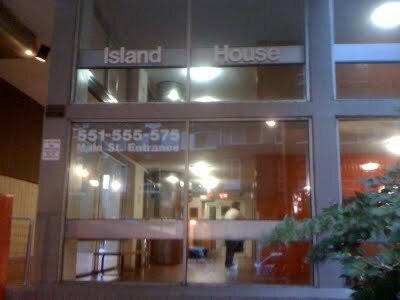 When the Board approved, 8 to 1, a resolution authorizing extension of the ground lease for Island House, the language indicated the lease could be signed by the president "or any vice president." It was clear from the comments and demeanor of RIOC staffers in the meeting, as well as Chair Darryl Towns, that they were attempting to skirt the issue of why that would be necessary. The WIRE has learned that Torres has quit the job. More details in the October 8 issue of The Main Street WIRE. If Ms. Torres is no longer RIOC President, then the very interesting question becomes who will it be and how will the RIOC President be hired - by the RIOC Board as authorized in law but never implemented in practice or by the Governor of NY, which has been the prior custom and practice. Will the new RIOC President be a competent, experienced manager or a political crony/patron of the Governor's office? Leslie Torres, president of the Roosevelt Island Operating Corporation (RIOC) resigned her position effective today, Friday, September 21, 2012. Ms. Torres joined RIOC as president in August 2010. Ms. Torres is pursuing new opportunities. Donald D. Lewis has been named Acting President and CEO by the Chair of the RIOC Board of Directors, Darryl C. Towns. PLEASE TAKE NOTICE that a meeting of the Governance Committee of the RIOC Board of Directors will be held on Monday, September 24, 2012 at 5:30 p.m. at the RIOC administrative office, 591 Main Street, Roosevelt Island, New York. UPDATE 9/22 - RIOC Director David Kraut reports he has no comment at this time on situation. UPDATE 9/24 - RIOC's Governance Committee met this evening to discuss selection of interim and permanent RIOC President. Here's what happened. Reported previously on the Main Street Reconstruction Project scheduled to last until March 2013. Please be advised River Road will be temporary closed from Friday, September 21st beginning at 8AM to Tuesday, September 25th at 5 PM due to the Main Street Reconstruction Project. During that time deliveries and pick-ups will only be allowed in the area. River Road will re-open on Wednesday, September 26th and will return to temporary construction closure times, 8AM to 5PM, for the duration of the Main Street Reconstruction Project. As a result, the bus stop located at 10 River Road will be temporarily relocated to 40 River Road. The American Cancer Society (ACS) is inviting Roosevelt Island residents to organize and participate in a Relay For Life on Roosevelt Island. The ACS will be hosting meetings on September 25 and October 24 to explain what is involved in organizing a Relay For Life and to determine if there are volunteers willing to participate. 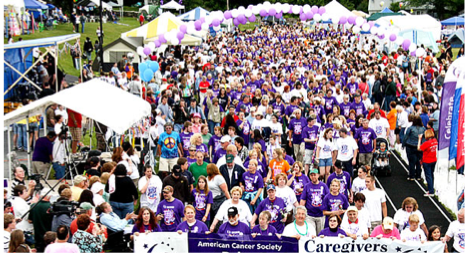 Relay For Life of Roosevelt Island in 2013? ...all with your friends, family, and neighbors! The American Cancer Society is ready to partner with you! Prankster Vandals use their baseball bats to squash garden squash. Pieces of 5 large butternut squash (10 lbs) were found by the gardener spread over the baseball field crushed, as if, with a baseball bat. Incident happened at dusk on 9/14-9/15, Friday or Saturday night. Anyone who might have seen this incident please report details to RIers. Four youths in dark blue baseball uniforms were spotted by a resident on Friday night 8pm hitting around something in the baseball field near the garden fence. the vandals did their work between 4:30pm Saturday night and 4pm Sunday. There were three Italian ' trumba', each one weighing over eight pounds and one 10 lb butternut squash. Many people take the food I grow and eat it; sharing with hungry petty thieves doesn't bother me. The pure destruction and waste of over 30 lbs of food is cause for concern. We have had more damage and theft by squirrels than anything else, by far, until this destruction. People love looking at the vegetables growing in this garden, they show their kids and have really respected it. Sad comment on the people who did it. They destroyed over 30 lbs of food. 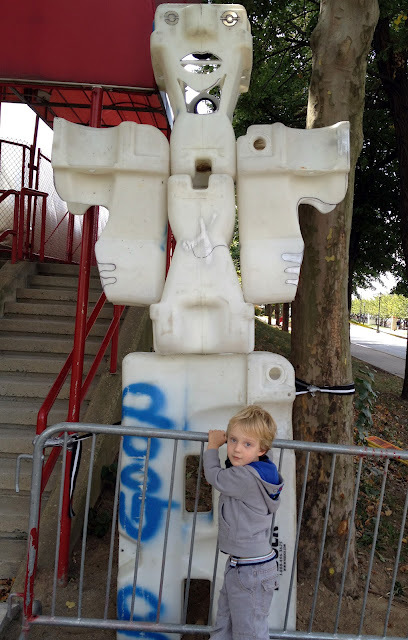 ... Near the tram stop right now, there's a collection of roadwork art, including a totem pole made out of plastic traffic barriers. Take a look at Bubo Blog's full report with more pictures here. Yesterday I asked Roosevelt Island Historical Society President Judy Berdy if she knew anything about the Tram Man and she told me it was a work by a Brazilian artist working with Gallery RIVAA. In today's NY Times, more information on Roosevelt Island's Tram Man created by Brazil's Pied Piper of Street Art, Bel Borba. 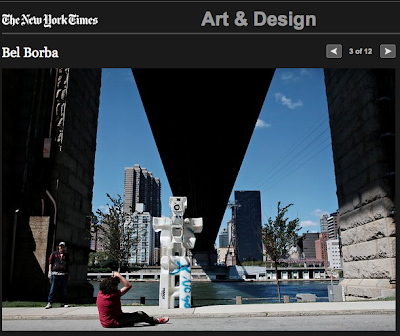 ... an unusual monthlong public art residency that will take Mr. Borba all over New York City and allow him to work in whatever medium strikes his fancy. On Saturday he created a painting of a lizard and a spaceman on the asphalt on Roosevelt Island; this week he is in Red Hook, Brooklyn; Howard Beach, Queens; and other neighborhoods. Starting on Oct. 1, a short film he made with two collaborators will be shown every night for a month on 15 jumbo signs, some with multiple screens, at Times Square. Click here for the entire NY Times article. More on Mr. Borba and his street art below. Security Photo ID's Being Implemented For Roosevelt Island's Manhattan Park Building Complex - Is Manhattan Park Losing Its Relaxing Atmosphere? We have recently begun using the Photo ID feature on Buildinglink. The purpose of this is for the concierge in every building to become more familiar with the faces of their residents, for safety reasons and to improve overall service. Please come to the Rental Office at 30 River Road from the hours of 10 A.M. to 5 P.M. any day except Thursdays to have your picture taken. Please ask for Remy. I don't personally have an issue with it - we seem to have a rotating series of people behind the counters, which means they don't really get to know the residents very well and this will (potentially) increase security. I'm not making it a priority to skip work and go get my photo done, however. We do have a number of people in the buildings who greatly value their privacy who may not desire to store their image in such a system. There are also a number of folks with "guests" and the Air B&B crowd who are renting out space for the long or short term who certainly will object, as this will complicate their additional revenue stream (they already try to make that difficult by not mailing our rent statements and instead sticking them on the doors the day they're due - since the amount changes every month with the utility charges, you need to get the statement in order to pay). I do see it as somewhat poorly announced and handled. This email is the first we've heard. Coupled with the increasingly unenjoyable environment at MP - the workers busy on the facade, the elevators being modernized/repaired, and the streets being shut off and dug up, MP has lost much of the relaxing park-like atmosphere to which I was first attracted. Now, getting to and from my apartment has become a hassle. One might think a smart management company would be going out of their way to keep residents happy at this time. Here's what Main Street looks like for Manhattan Park residents during it's reconstruction and the moving of the Gristedes/Motorgate bus stop to 10 River Road. It takes the red bus 30 minutes to get across Main Street because of construction! Damn you Roosevelt Island! Residents of a 1,200-unit apartment complex at Broadway and 135th Street held a 12-hour protest against a plan by management to require them to have photo id to enter the building. 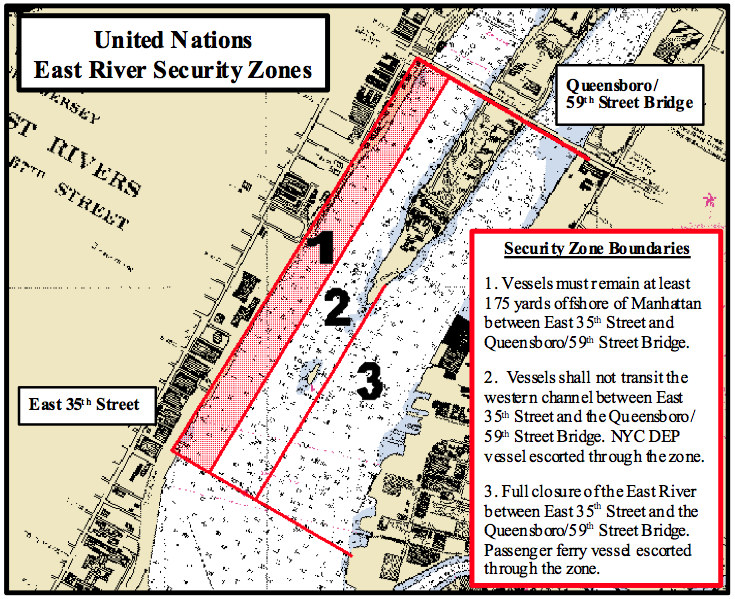 Be advised the Department of Transportation will perform intermittent closures of the Roosevelt Island Bridge during the September UN General Assembly Sessions from Thursday, September 20th through Sunday, September 30th between the hours of 6:00a.m. to 10:00p.m. 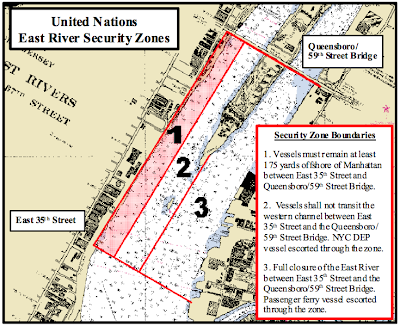 during the UN General Assembly sessions available from the US Coast Guard. Reported previously on activities available for Roosevelt Island Moms and kids. Last week, I met with a Roosevelt Island Mom, Juliana, who grew up here on the Rock, left and has returned with her family. Juliana shares these thoughts on Roosevelt Island and suggestions for local parents to help each other. Hi there! If your a parent like myself you probably have 7.7 seconds to read this. If your not, then please go enjoy a glass of wine for me. Here goes. Short & Sweetly, I grew up here a long time ago, before trains, and Starbucks and when the red bus was free. When we used to call it the Rock, hence the reference "aka Rock Parents"
I loved it here and considered it to be a magical place to grow up. I have now returned with my husband and 2 year old son and though it's changed as things do, it still is pretty magical and wonderful . 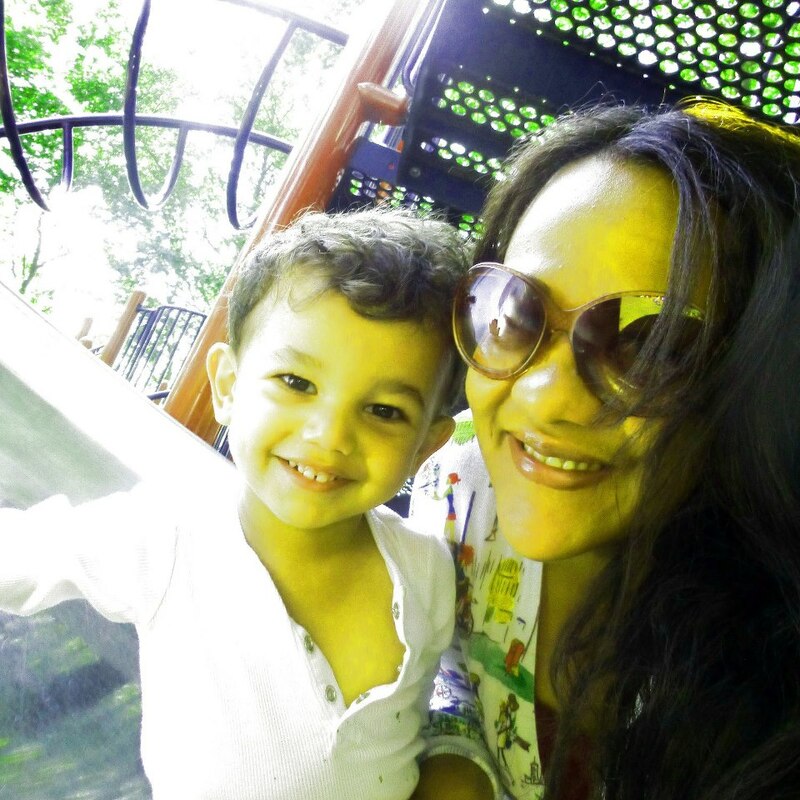 Returning as a parent I have noticed that many services or activities offered seems often scattered and we all get lost with when, where, how & my favorite , how much? My goal here is to be able to create one place, one group and section dedicated to serve as hub for all subjects that pertain to kids and parents here on our island. And here goes the master plan. Step 1 - Let's all send an e-mail to : rooseveltislandparents@gmail.com. We briefly introduce ourselves, share contact info and with that, hold our first get together where we can exchange ideas and get to know each other. Step 2 - Create one activities calendar, where we merge Roosevelt Island Kids programs, the Library groups and others so that we can log on and see clearly and easily one calendar that holds all this information. Step 3 - Create a classified's list where we sell and or exchange all our endless baby, toddler, kid stuff. Also offer our own services to each other, I recently ordered cupcakes with a mom here and it was eons better and more affordable than commuting to the city and she made some extra money, perfect! Step 4- Celebrate making parenting as community a success and easier on all of us. While we are here I decided to add a picture of me and my offspring so that maybe some of you will already say to yourselves." Ah yes this is the mom that's always walking around with a scooter, a basketball and a hot dog puppy!" Looking forward to connecting soon and hopefully we will truly create our own village of friends and family to honor the saying that it does take a village to raise a child! PLEASE TAKE NOTICE that a meeting of the Real Estate Development Advisory Committee of the RIOC Board of Directors will be held on Tuesday, September 18, 2012 at 5:30 p.m. at the RIOC administrative office, 591 Main Street, Roosevelt Island, New York. 2. Any Other Committee Business That May be Brought Before the Committee. Below is the September 20 RIOC Board Agenda. More on Island House privatization and exit from Mitchell Lama program including video of Town Hall meeting on subject at previous post. Some people with a fear of heights experience discomfort when riding on the Roosevelt Island Tram and others just don't like the jolt they sometimes receive when passing the Tram Towers. Well, for all of you who feel sick or queasy when on the Roosevelt Island Tram just be glad you don't live in or visit the Chinese village of Yushan. This thing makes the Roosevelt Island tram look like the Concorde. 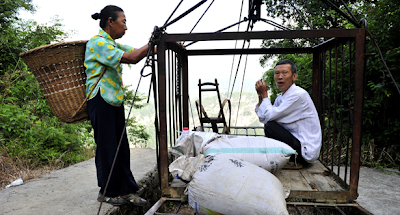 Stunning photos published in a British magazine show a Chinese village so remote, it can only be accessed by a primitive gondola consisting of a few cables and a rickety steel basket. ... The ropeway was built in 1997; before that villagers faced a walk of several days to get to the next nearest village. Click here for the entire Shortlist article. Do you feel better about riding the Roosevelt Island Tram now? 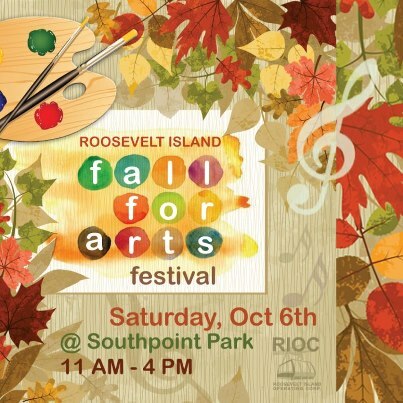 Save the date: The Annual Fall for Arts Festival returns to the visually stunning Southpoint Park October 6th at 11 AM- 4 PM. This family-friendly event will feature local artists on site exhibiting their works, hands-on arts & crafts workshops, delicious fall festival foods & drinks for purchase, give-aways and much more! So plan your artful weekend here at this unique festival you don't want to miss! In past years, Roosevelt Island Fall For Arts was held on the Rivercross Lawn and surrounding areas. Here are some scenes from previous years. UPDATE 9/27 - Julie's Unique Cuisine will be on the menu for Fall For Arts. Unattended Fire Barrel Burning Dangerously At Roosevelt Island Garden Club - Why? 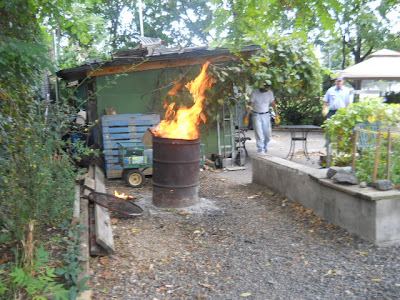 I received the following report from a very concerned Roosevelt Island resident who spotted a a potentially dangerous fire burning from this barrel at the Roosevelt Island Garden Club. ... while walking the dog, I smelt smoke and heard a lot of noise coming from the back of the garden northside. 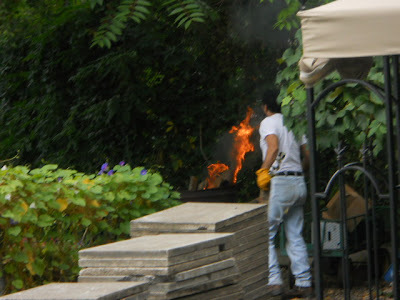 When I approached I witnessed this man in photos breaking up a newer pallet to feed a fire in the metal can. 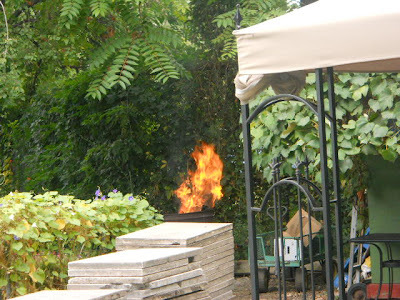 Once he fed the fire, he walked away to mid garden to continue watering a plot. The fire reached treetop level. On the outside of the fence, I called out to this man that he must stay with and attend an open fire. He started to yell that he had been doing this for years and knew what he was doing, 'he was not a monkey'. 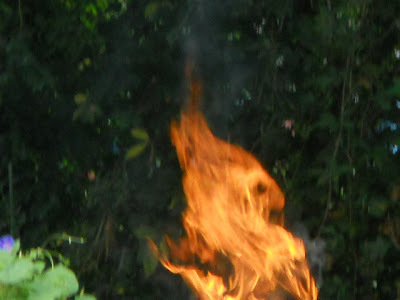 I advised him the fire was very tall under the trees, the barbecue propane tank was close by, a very dry field was located directly behind the fence, as the partially burned twigs fell to the ground. I walked to Main Street and a fireman loading his car asked me if I had seen anyone burning since the air was filled with it. I told him to check behind the garden, which his captain came out at that time and walked to the garden. Both of us witness the barrel burning very high, and small wood pieces burning on the ground 3 feet from the fence. He asked the piro-man to put out the fire immediately. To date, The Roosevelt Island Garden Club has not removed the barrel. The Roosevelt Island Operating Corp (RIOC) has been made aware of the situation. I hope you’ll forgive a little shameless self-promotion: My latest book and first novel, 48 and Counting, is now available as a paperback through Amazon and as a Kindle and Nook e-book. The book was mostly written sitting at my dining-room table on Roosevelt Island. 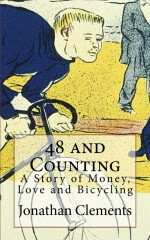 As the subtitle suggests, the book is A Story of Money, Love and Bicycling. It traces amateur cyclist Max Whitfield through three eventful seasons as his marriage collapses and he loses control of his business. Unemployed and unsure what to do next, he throws himself into training for a 40-mile bicycle race. Clare saw Max rise out of the seat. He was her 48-year-old father and yet, at that moment, he was somebody else entirely. The muscles in his arms were taut. His face and legs glistened with perspiration. As the bike leapt forward and gathered speed, he sat down, shifted into an easier gear and spun the pedals with a controlled fury. For a few brief seconds, the beauty was unmistakable. Max's bike hurtled past the other two riders. A yawning gap immediately opened up. Max had his chance. He had broken free of the other two, who were now belatedly trying to respond, their suddenly feverish motion signaling how surprised they were. Max was 80 excruciating seconds from the finish line. The book talks a little about managing money and a lot about cycling, but it’s mostly about what the world looks like from middle-age. While this is my first work of fiction, I’ve written four earlier books—all on personal finance—and I spent 18 years at The Wall Street Journal, where I was the paper’s personal-finance columnist. Nothing wrong with self-promotion. Happy to help. 48 and Counting is available from Amazon and Barnes and Noble. Perhaps Mr. Clements can give a reading from his book at Gallery RIVAA as these other authors have done.